Featuring 58 sturdy puzzle pieces in the shape of countries, this GeoToys Europe Map Puzzle gives you everything you need to build a continent! Take a little Euro trip without ever leaving home! 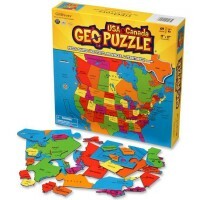 The Geo Puzzle Europe - 58 pieces Map Puzzle by GeoToys is a bright, fun and exciting learning puzzle from Educational Toys Planet. 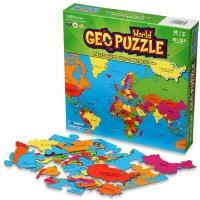 Featuring 58 sturdy puzzle pieces in the shape of countries, this GeoToys Puzzle gives you everything you need to build a continent! 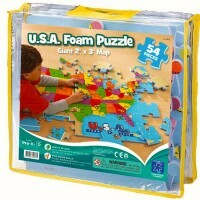 This jumbo 19 x 16 inch puzzle features labels for all the countries in Europe and their capital cities. Do you know which country is shaped like a boot? Can you name the capital of Spain? 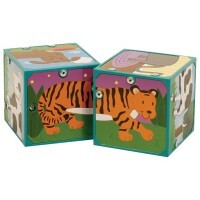 Learn the answers to these questions and more! 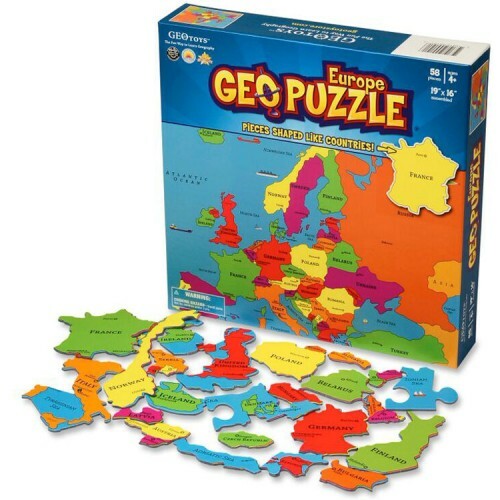 The Geo Puzzle Europe - 58 pieces Map Puzzle is a great addition to any history classroom or play area. 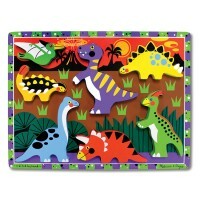 Children will enhance their fine motor skills, problem solving skills and world knowledge with this colorful map puzzle. Let the Euro trip begin! 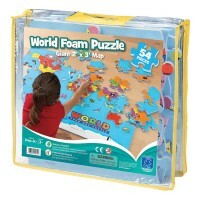 Write your own review of Geo Puzzle Europe - 58 pc Map Puzzle. 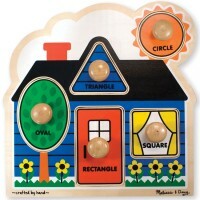 Rating: 5 I love this Map puzzle. My 9-year-old grand daughter loves it. 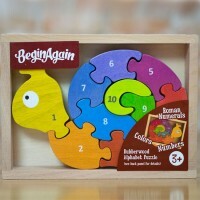 by Grandma Sarah She was diagnosed with her twin brother in the autistic spectrum and the puzzle is giving her an visual picture of the map of Europe. Her condition is very mild but her visual memory is short. 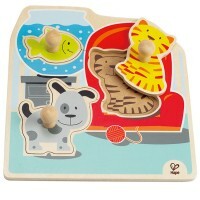 She is more advanced than her twin brother, but we'll get to the puzzle later with him. 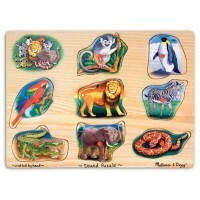 Tutoring autistic children is a challenge and i look for every aid I can find at reasonable cost.